The 501st ‘Bulldogs’ is a great commander to try out on your first time playing ReconInForce. Their overall strategy is straightforward and their tactics are easy to understand. They fight at a controlled pace and can withstand quite a beating. When playing with the 501st it can sometimes feel like you’re taking insurmountable losses and yet every turn you gain a little ground: shoot, move a little, then shoot again. It can be really fun to claw your way across the battlefield in Bulldog style. The Bulldogs like to make the fight close and personal. Their units excel at fighting across rough terrain and often find themselves in a tile-to-tile slugfest through some thick forest or city. All of their units move at a decent pace through any terrain: forests, cities and even rivers. They don’t have any quality scouts, but they make up for that with strength in numbers that allows uniform coverage of the battlefield. Looking back, the Bulldogs received the most tweaks and changes throughout the project even though the vision always remained the same. The goal for the 501st was strength in numbers and a steadfast resilience. Several of the original units were stripped for placement elsewhere: the Sniper was moved to the Six O’ Six, the Engineer was re-assined to the Mechanized Mongrels, and the Javelin was traded back and forth for the AT Gun. In the end, though, the units settled into place and formed a tough, cohesive pack. The emblem for the 501st went through several iterations as well! Rick, the artist for the emblems in ReconInForce, did a great job taking feedback and a barrage of suggestions to get everything just right. Of all the art in the game, the emblem for the Bulldogs received the most iterations. I still can’t figure out how Rick managed to get such a cool fabric look into all those insignias! I reserve the 501st ‘Bulldogs’ for the toughest of maps, the ones that no tanks would dare try to fight across. Two great examples are “Operation Delta” and “Operation Oppidan” which are thick with forests, cities, rivers, and chokepoints. My opening army is actually very light, usually only two or three LAV’s. Since the infantry is so slow, I save up my deployment points for the units that I will call in on the next turn. On the second turn, my LAV’s run straight for the helipads. Another great thing about the 501st is that almost every one of their core units can be deployed from a helipad, right up on the front line. This speeds up the deployment of other infantry and gets them a few tiles closer to the enemy base than if I had brought them in from the original deployment zones on turn one. As the battle progresses, I usually end up forming a solid line of troops that march their way across the battlefield. I try to keep the flow of troops up the front steady to plug the holes in the line that appear with the inevitable artillery strikes. My tactics aren’t too fancy; I use Mortar Carrier to soften up the enemy, flank with LAV’s, and mop up with Grunts and Flamethrowers. Often enough, when I start approaching an enemy controlled helipad or deployment area, my strategy turns into taking that tile at all costs. If successful, a horde of reinforcements can be spawned right on the spot, suddenly transforming the area into the strongpoint of your front line. If I capture a helipad or call-in zone near the enemy base I spam Javelins for the win! Lots of Javelins to finish the base. Cheating? Naw. Keep at least one Medic close but covered, and be sure to heal any troops that have taken damage. If you need to cross an open area, make it quick and use smoke from your Mortar Carrier. Otherwise, just take your time, have patience, and try to advance one or two tiles each turn until you’re at the enemy base. I have to shake my head when I wind up fighting some poor 501st player on open maps like “Operation Citadel” or “Operation Windbreak.” There’s just no chance their infantry will survive long enough to get within range to return fire. Really, the only weakness of the ‘Bulldogs’ is their short range. A Flamethrower can shoot 2 tiles, a Grunt can shoot 3 tiles, an LAV and Javelin 4 tiles, and a Mortar Carrier 5 tiles. So every other commander in the game has at least one unit than can outrange the 501st. Artillery is just the perfect antidote to the ‘Bulldogs’, provided you can find them in the thick forests and cities. Not only does artillery usually do a lot of damage to infantry, but it will take them several moves and a few turns just to get close enough to shoot back! Few things are as demoralizing to the 501st as trudging through a constant hail of Heavy Artillery shells. So turn on the Barrage! This is just a brief insight into the possible strategies and counter strategies of the 501st ‘Bulldogs’. I hope you get a chance to grab the 501st at only $0.99 and enjoy the last sale for ReconInForce. 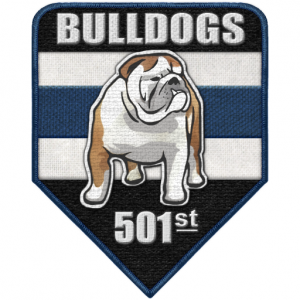 How do you play the 501st ‘Bulldogs’? 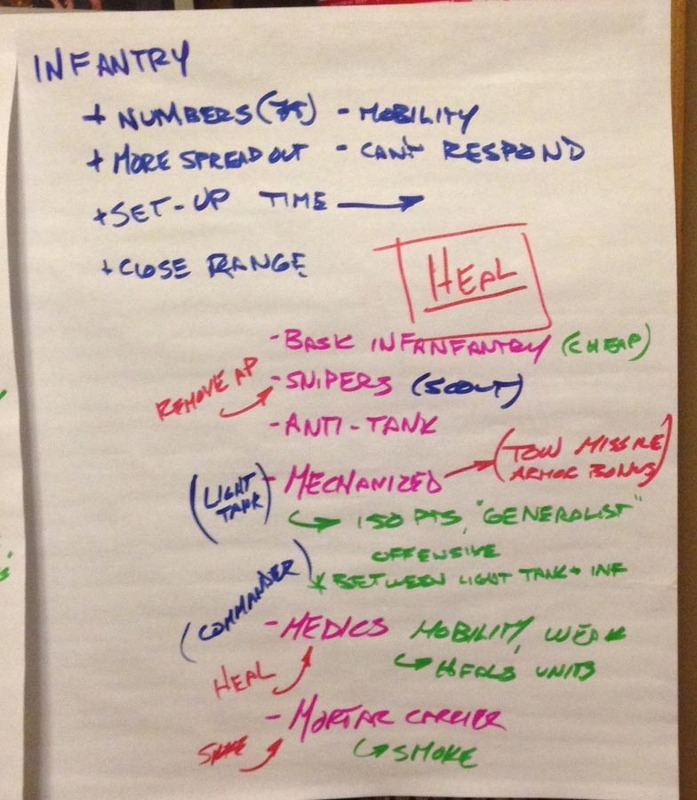 Share your infantry-based strategies in the comments or forums. Happy Gaming! I think you should do a feature for the 17th Guards too! Just for the strategy bit haha. The Resistance’s artillery and front-line units are too weak even though they can match numbers and scout fairly well. The 606 will prevail with superior scouting, extreme-range artillery that OHKOs Flamethrowers and Javelins, and Snipers. The 17th Guards can scout, match the smokescreen, match the numbers and slowly mass MLRS. Furthermore, combined arms tactics allow them to take the war of attrition quite well- medium tanks do as much damage as they can against flamethrowers, get destroyed (225 points) by Javelins who then get eliminated (200 points) by MLRS, which incidentally also outrange Mortar Carriers for successful counter-battery fire. A 17th Guards strategy guide would be a nice touch; I’ll have to think about doing that. Although their strategy is so generic/reactive that it might be tough. Smoke is a great counter to open terrain and will keep the Bulldogs competitive across a large section of grass. But it means that they need to have a Mortar Carrier or two dedicated to just dropping down smoke, leaving them at a points disadvantage in combat. Plus, they don’t get a chance to demonstrate their mobility across rough terrain which usually adds a twist to the battle when fighting through dense forests/rivers. Aha, but the whole idea of smoke is that the enemy also loses action points advancing and trying to find you xD so it’s a matter of who wastes more action points, I guess? Line of sight is no problem to those with artillery and good memory.